HYDRAO is one of the 8 best startups invited to pitch in front of investors at Teknofest İstanbul! 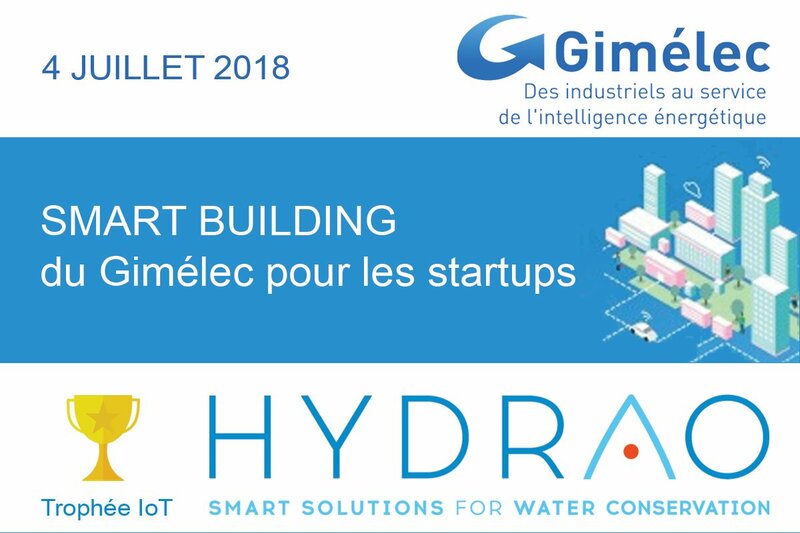 HYDRAO will compete to be crowned the most promising IoT Startup providing Smart Water & Energy solutions with DataAnalytics. 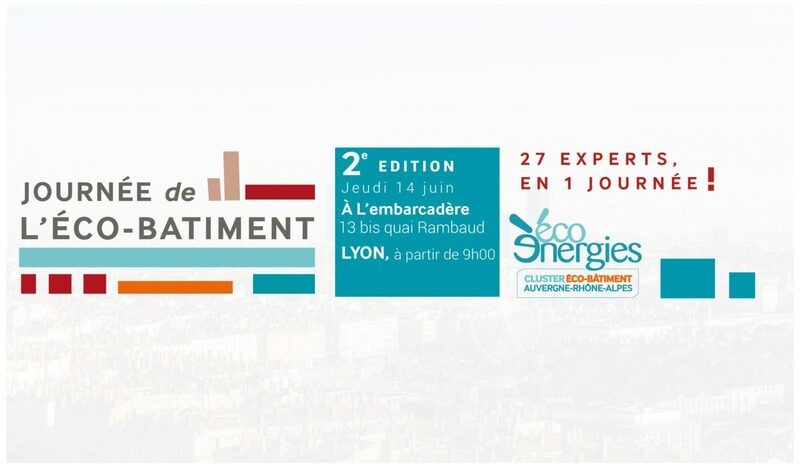 HYDRAO is taking part in the Eco Bâtiment day organized by the cluster to strengthen its presence in sustainable building in Rhônes Alpes. March 22nd is the World Water Day. This is the date we chose to launch our brand new smart showerhead that will enable even more water savings. Making people aware of their water usage since childhood is important to us. 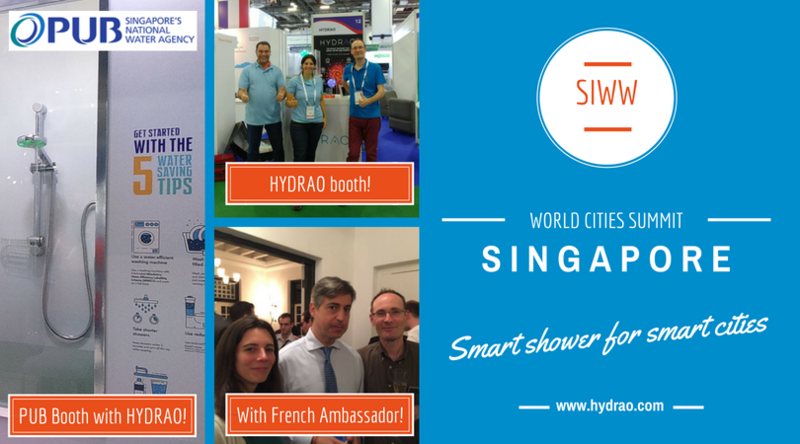 Therefore, we develop the HYDRAO Shower product line-up. Indeed, all our showerheads light up the water spay in real-time based on water usage. That’s why HYDRAO Shower Aloé name is inspired by the flowers growing in the desert which are very efficient in their water management. This new HYDRAO showerhead has better water-saving capabilities with a lower flow rate (6.6L/min max. ), multi-jet and better performances at low water pressure. 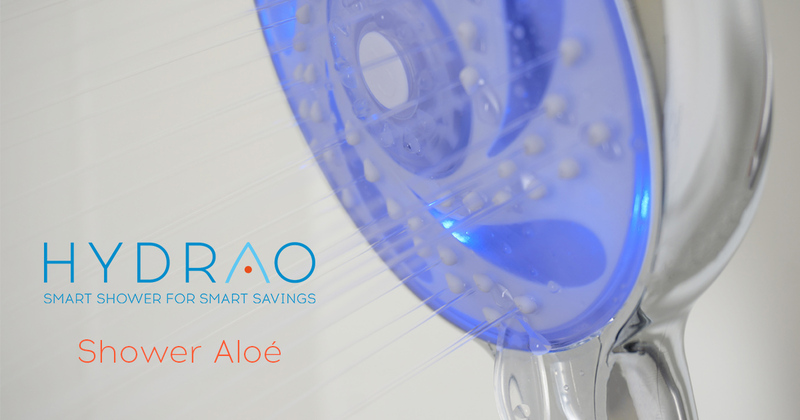 HYDRAO Shower Aloé will enable a 56% cut in water usage under the shower. It allows 150€ savings on your water and energy bills (40€ and 110€ respectively) on an average shower of 75L. Whereas regular showerheads have a 12L/min flow rate, HYDRAO Aloé is best of class with 6.6L/min. This low flow rate reduces mechanically by 45% your water usage. 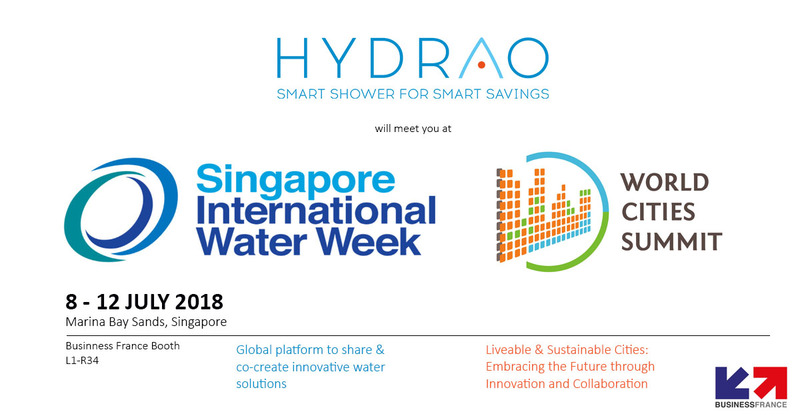 Moreover, thanks to HYDRAO’s nudge effect, there are another 20% savings: the colours and the water usage monitoring through the HYDRAO Shower App change behaviours durably and positively. United Utilities has recently launched its new Innovation Lab, inviting bright and creative firms to work on some of its key business and customer challenges. 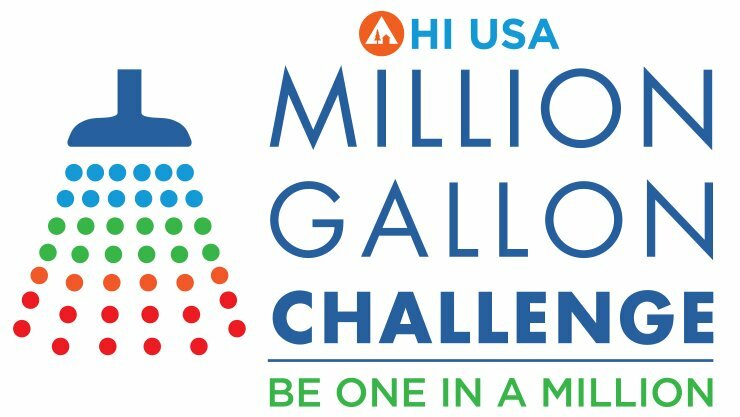 HYDRAO is proud to be part of the adventure and partner with United Utilities for helping millions of housholds to save water with fun! We will work together on maximising the benefits of our showerheads for customers facing vulnerable circumstances, in particular – that’s a key target for us, and for United Utilities too. The first step of our collaboration is the rolling out of a study with 150 people to gather feedback on HYDRAO showerhead.